Six men commit suicide every day. 20 out of 100 men will suffer anxiety. Another 12 out of 100 will endure depression. For the third year running, Black Sheep is using pedal power to promote a conversation about Men’s Mental Health. 10 CYCLISTS TAKE ON THE WORLD. South America, Europe and the UK. JOIN THE RIDE. JOIN THE CONVERSATION. One Day. October 7 will mark the second consecutive Global Man Ride Day. Men and women from all around the world will join together to lend their voice to Men’s Mental Illness. 15 Locations + No corner of the real or digital world will be left unridden in our quest to raise awareness of Men’s Mental Illness. Each worldwide location will take part in a specially designed 200km Man Ride. Not near a location? In 2018, we’ve partnered with Zwift to make it possible to Join the Ride wherever you are in the world. One Cause. We don’t want your donation. We want you to use the power of the bike and the significance of your local community to help promote change. 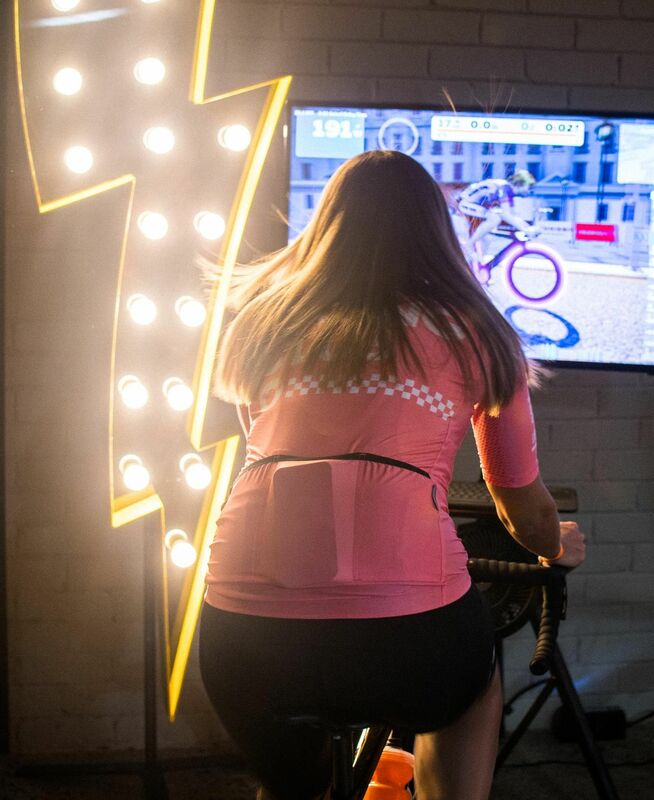 To carry the conversation about Men’s Mental Illness as far as possible, we’ve partnered with Zwift. Black Sheep will host a digital Man Ride Day in three time zones on October 7 as well training rides leading up to that main event. The Man Cast is a weekly conversation about Men’s Mental Health in the lead up to Global Man Ride Day. Don’t be afraid by our title. We aren’t a boy band or some male cult. Each week we talk to a guy who on the outside has got it all together, but has a far more complicated story to tell. We live in a world that very rarely stops. That demands and assumes for us to keep it all together. This is 45 minutes to realise we are all human. We all live in a little bit of chaos that needs to be controlled. Fifty per cent of men have had a mental problem at some point in their life. One in eight men suffer from depression. One in five men suffer from anxiety. Eight people die from suicide every day. Five of those are men. Men are four times more likely to die from suicide than women. Working men aged 25 – 54 account for the largest number. The Man Ride is unashamedly all about the Man. Raising awareness for a subject that is treated like a dark secret and shining a light on the growing rates of depression, anxiety, and suicide. The purpose of the Man Ride is simple. It’s for the people we care about. It’s for every single man in the community. Young men. Old men. New fathers. Old fathers. High Achieving Men. Men in rural and remote areas. Unemployed men. Men with illness. The rates of depression amongst men are tragically high and ever increasing. This issue can no longer be hidden away. We are lending our voice and influence, and hope you will too. The Chaos Collection, a special release by Black Sheep, will once again commemorate the Man Ride. The CHAOS COLLECTION 2.0 builds on the theme of the previous edition kit, introducing colour to portray positivity while still representing a chaotic mind.